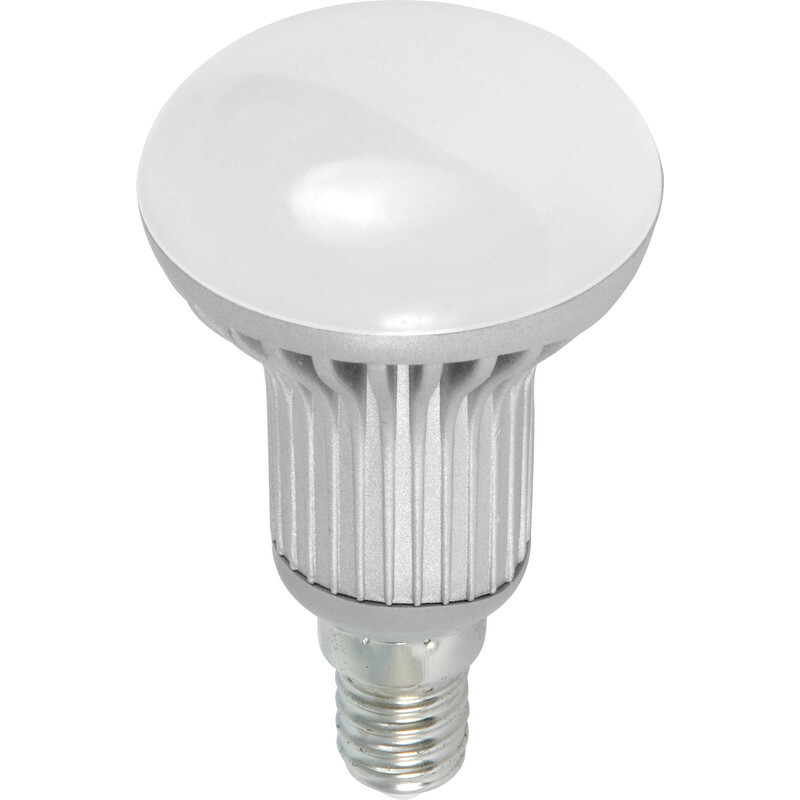 LED Reflector Lamp R63 9W ES (E27) 780lm is rated 4.4 out of 5 by 23. Rated 5 out of 5 by Mugs from Very bright Replacement for CFL reflector. Far brighter (possibly too bright!) and instant start. Rated 5 out of 5 by CJ design from LED Bulbs excellent! Have recently received these bulbs and they are more reliable than old reflector bulbs. Rated 5 out of 5 by Rockin Baz from Good light Used for a couple of weeks and am well impressed with how bright these 9 watt bulbs are. Very happy result. Rated 5 out of 5 by FrankGraham from Better illumination. I bought 2 of these lamps to replace the dead filament lamps and the improvement in light level, also the uniformity of illumination, have made the utility room a more attractive place. Rated 4 out of 5 by diydad1 from Good Quality Bulb Replaced 3 bulbs on the stairwell when fitted you can't tell they are LED's give off a very bright white light much brighter than the original bulbs time will tell how they last. Rated 5 out of 5 by Chris c 111 from Fantastic light A halogen bulb blew in my kitchen spotlights. So changed them all to these LED bulbs. They are lovely and bright and very close to daylight. Perfect for a kitchen, very happy with my purchase indeed!